This month, Kerry from Islay tells us why she got involved in the project and what she hopes to get out of GET IN. I found growing up expressing yourself really difficult on Islay, but I chose to stay to make a difference in my community. I am a youth coordinator for a local charity and I’m currently starting my own business in bringing diverse events to Islay. I heard from the Argyll Youth Arts Hub who thought it would be a great help to me on my new career path, it really has been beneficial and I have learned a lot and met amazing people and connections through GET IN. GET IN has offered great training days, opened us up to diverse performances, and introduced us to talented people in the creative industries. I have attended training on the Isle of Coll and Glasgow – each training has offered an insight into promoting and managing events. Since then I have organised my own event bringing the first punk bands to Islay where I held a gig on two nights – one for under 18s to make it inclusive to the young people in the community. I am really looking forward to organising the tour for 2017 and working with the other young promoters. 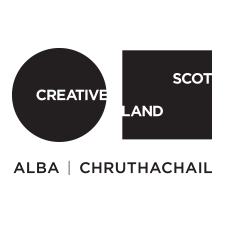 We are a diverse group with creative ideas so it will be exciting to see what we collectively come up with for the Highlands and Islands. Thanks for taking the time to answer our questions Kerry. We’re looking forward to seeing you progress as a GET IN Youth Promoter!